/ Is Krav Maga The Deadliest Martial Art? 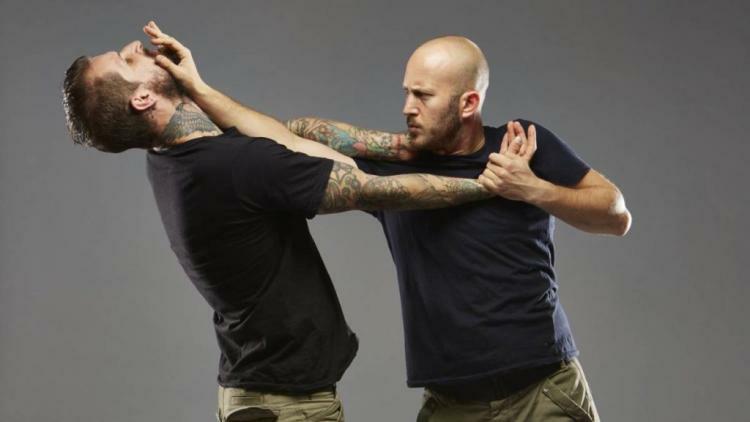 Is Krav Maga The Deadliest Martial Art? If someone tells you that it is, they are lying and you should not trust anything they say from thereon. Krav Maga is an Isreali martial art, and the marketing hype is based on it being the martial art of the Isreali Defense Forces (IDF). That is tantamount to learning Marine Corp Martial Arts Program (MCMAP) or Systema (used by Russian military). However, just because it is a martial arts developed for the military doesn't automatically make it deadly. To illustrate the example, watch this video of a jiu jitsu girl choking out a Marine. Anyway, back to my point. Being in the military, you will rarely (if ever) find yourself in a close quarter position where hand-to-hand combat is life-or-death. Thus, the military does not put much emphasis on efficacy of their hand-to-hand combat program. There is no one reputable in the UFC or Bellator that has a background in Krav Maga---so that should tell you something about it's efficiency. Most Krav Maga evangelists will tell you that is because Krav Maga is designed for street use and its techniques are too dangerous to be used in the ring (or octagon). The supposedly deadly techniques include groin kicks, eye gouges, and a plethora of other strikes and moves that attempts to strike at an opponent's weak points. But it seems like these moves would only work if 1) the opponent is static 2) there is no resistance from the opponent and 3) the opponent moves in the exact manner as you have trained in class. Here is the problem with Krav Maga as I see it. They teach "moves" moreso than concepts. I suppose that "striking at your opponent's weak point" is a concept in and of itself. However, how do you do that amidst the chaos of a real fight. Fighting is not about doing learning certain moves or movements. Fighting is conceptual and a real fight is very chaotic. Therefore there is a slim-to-none chance that any of the 3 criterion described above would be fulfilled in order for you to pull of a deadly Krav Maga move. Every martial art that works in real life teaches concepts as well as technique. Martial arts should teach you overarching concept such as using your opponent's bodyweight, controlling distance, protecting yourself when overpowered, how to deflect power, how to minimize your opponent's movement, how to carry your bodyweight, how to maximize the power of your strikes, how to defend against certain techniques, how to strike efficiently, how to properly cut an angle, etc. Another essential ingredient that Krav Maga lacks is sparring---at least around my area. Any martial art worth its grain in salt should have sparring at the center of its philosophy. Regular sparring is done to work your technique and get a feel of what a real life situation is like. Sparring is the only way to test out your techniques to see if it will work or not. The way most gyms approach Krav Maga is just not based on any type of reality. The premise behind Krav Maga is that you will become a deadly martial artist as long as you train a bunch of moves over and over again. This makes it no different than the many other McDojos that are so infamous for churning out black belts with no fighting ability. So in conclusion, Krav Maga is not the deadliest martial art. Not even close. What are the Three Fights Boxing Fans Want to See in 2019? Why Do My Boxing Gloves Stink?